This is spring in a bowl and it can be made in less than 15 minutes. Serve it as a first course or lunch alongside your favorite sandwich. The wee ones will love it with just a bit of tiny pasta or rice added to it. If you are in the mood, you can add herbs that you have on hand. Mint or dill is a favorite around the Massel kitchens. In soup pan, heat olive oil with shallots and garlic. When shallots and garlic are translucent, add water, peas and Massel Ultracubes. Bring to a boil, then turn down to simmer. 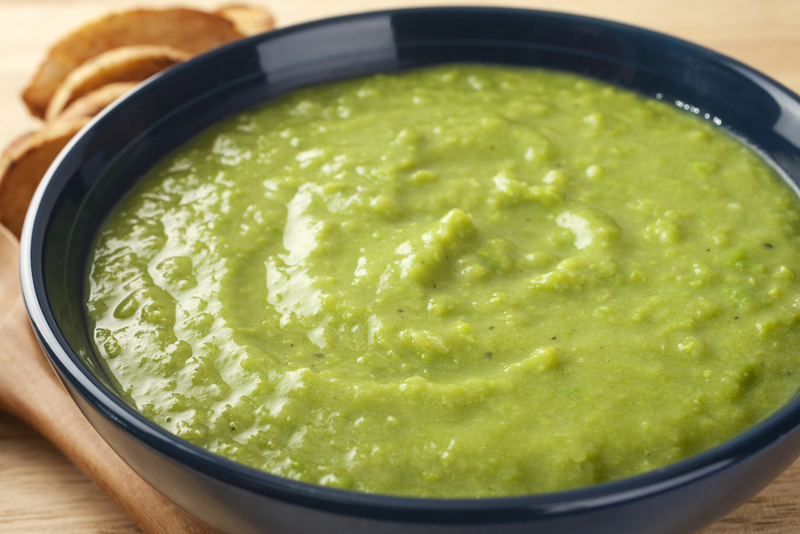 When peas are tender, use immersion blender to cream the soup. You can leave some a little chunky if you want. Add freshly ground pepper to taste.